"It's true that I played in thousands of movies, but that was what we did in those days. It would be impossible today, with the current traffic situation, to play as many sessions in a day - often three and sometimes four - as we did then, when we could get anywhere is Los Angeles in half an hour. One day I got a call. I said I could come by on my lunch hour. The studio was near where I played a morning session, so I walked over at noon. On a stand was music with just two notes. They wanted me to play them strongly, so I did, then asked what else they wanted. That was it! And the recording with those two notes became a great hit!" "I learned the Mozart and Strauss, but the studio business required something different. The music was always new, never seen before; you played it and they recorded it. You never knew what you were going to get. Fortunately, I didn't have problems with that, so I became a well-known player in commercial work. Alfred Brain said, never practice on the stage, and that's what the business was like." Vince DeRosa was born in 1920 into a musical family in Kansas City. His father played clarinet and his mother was a singer. The family moved to Chicago, where Vince started horn with P. Delecce, and then later the family moved to Los Angeles. Vince studied briefly with his uncle Vincent DeRubertis (who was on staff as a horn player at Paramount Studios), and the legendary Alfred Brain (uncle of Dennis Brain, and Principal Horn at 20th Century Fox Studios), and started his professional career at the age of seventeen in the horn section at 20th Century Fox. During World War II, he played in an Army recording orchestra based in Santa Ana. After obtaining his release from the Army, Vince decided to try freelance recording in Los Angeles. His first jobs were playing live radio broadcasts, and he was successful at this type of work. As a young horn player, Vince gained playing experience through numerous freelance opportunities while most of the studio players were restricted by contract to playing in only one studio. 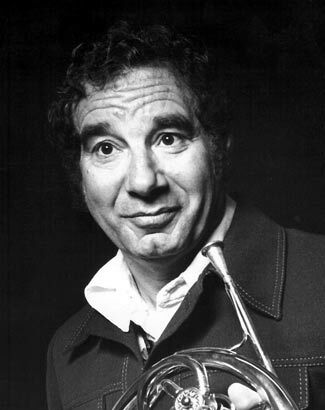 Before long, Vince successfully established himself as the "first-call" horn player in the recording industry. Many film composers were attracted to Vince's warm and beautiful tone color and began to write prominent horn solos in their scores. Vince's impact on the business brought along with it a new standard for studio horn parts. Over six decades, Vince played with the Los Angeles Philharmonic, in the LA Horn Club, and for Henry Mancini, Alfred Newman, Lalo Schifrin, and John Williams, among many others. He can be heard in motion pictures (such as ET, Days of Wine and Roses, Cowboys, Rocky, Robin Hood), television, and records for hundreds of artists (including Ella Fitzgerald and Frank Sinatra). In the late 1950s, Vince started playing a Conn 8D. Composers all loved the sound, and more and more horn players switched to the 8D, creating a more unified sound that was recognized and respected as the LA horn sound. Over his career, Vince has worked on horn designs with various craftsmen and horn makers, including the Paxman model 40L with Merewether and the Heritage horn with Hoyer. As an educator, Vince was a faculty member at the University of Southern California for 30 years (1974-2005), and his students can be heard professionally around the world in every facet of horn playing from jazz to symphonic to chamber music to recording solo and studio playing. Among his students were his cousin Henry Sigismonti (Principal Horn of the Los Angeles Philharmonic under Zubin Mehta), George Price (long time third Horn of the Los Angeles Philharmonic), and his nephew Jeffrey DeRosa (a busy studio horn player). A Vince DeRosa Scholarship Fund was established in 2003 (currently supporting the IHS Solo Contest), and Vince was elected an IHS Honorary Member in 2004.